HVAC dispatching, service scheduling, estimating, invoicing and more - our software covers it! Save time, get paid faster, and reduce paperwork. 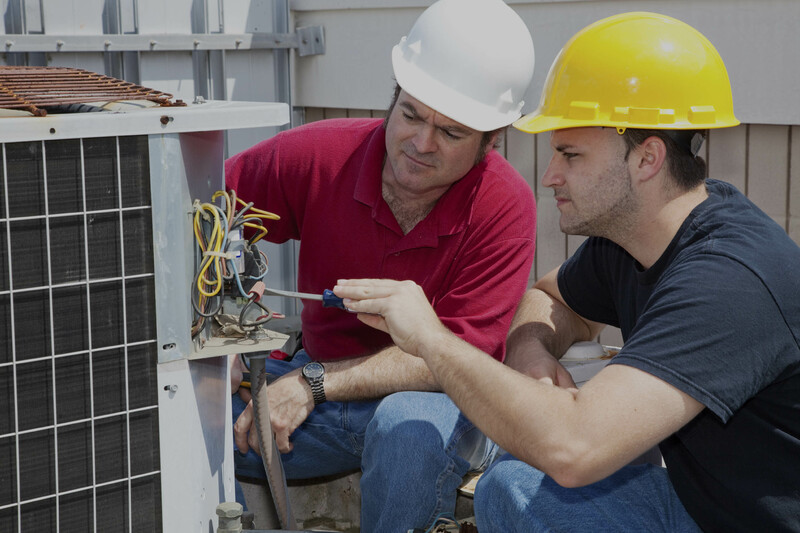 RepairShopr is the easy-to-use, mobile HVAC service software you've been looking for. RepairShopr's HVAC management software has everything you need to run your service business smoothly. Our customizable yet lightweight software will save you time, money and headaches by reducing paperwork, streamlining scheduling, and putting all the information you need at your fingertips. We've got the essentials - scheduling software, estimating, invoicing, inventory management - plus more. We're a small team that's seriously passionate about customer success. Let us help you streamline and grow your HVAC business. Powerful data dashboards and robust reports come included with our software. We love data and believe in the power of using it to help you grow your business. Communication is key, especially for field service businesses. Keep everyone in the loop by messaging Techs and emailing customers, without leaving the platform. One place for all the tools you need to get the job done. 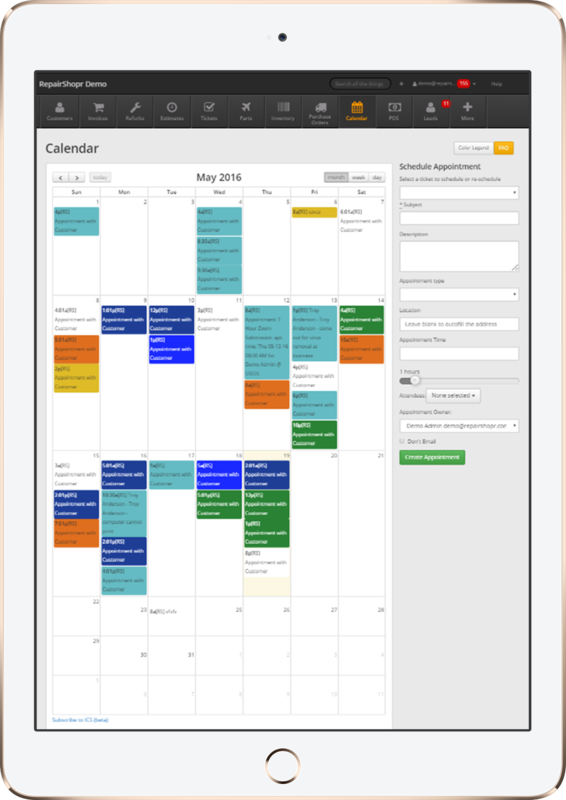 Organize and track your techs' schedules from one central, color-coded hub. Plus, the drag-and drop interface updates in real-time. Easily create HVAC estimates, email customers invoices, or process payments directly from the field, for faster and easier payment cycles. With our mobile-friendly website and iPhone app, RepairShopr works wherever you do! Mobile payments plus an online customer database helps eliminate paperwork while streamlining work load. Win-win. Stop entering data twice! Our QuickBooks integration saves you time and hassle. Tons of other integrations, too. We put the custom in customer database. Track the exact info needed, like service history, service agreements, equipment, and more.